I have gotten many requests over the past few years for information on LPGA rookies. In all honesty, most of the time I don't know that much about the first year players myself. Unless they had a big year on the Symetra Tour or they had success on another tour, information can be hard to come by. That said, I would like to try something new. Starting this week, and continuing throughout the season, I will be spotlighting an LPGA rookie. Lauren elected to forego her final year of collegiate golf at the University of Alabama and turn pro after her top ten finish at the LPGA 2018 Q-Series. 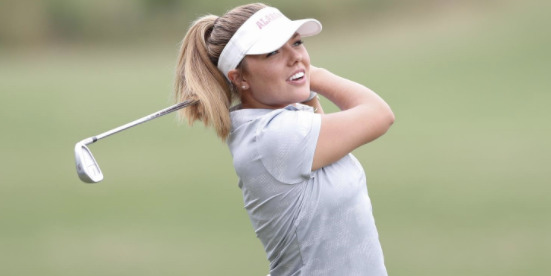 She will be joining her University of Alabama teammate Kristen Gillman (also a rookie in 2019) on the LPGA Tour. Lauren is making her LPGA professional debut at the ISPS Vic Open in Australia this week. Finished tied for 8th place at the inaugural LPGA Q-Series to earn Priority List category 14 status for the 2019 LPGA season. Made two starts on the LPGA Tour at the 2016 and 2017 U.S. Women's Open, with a career best 41st place finish in 2017. Member of the 2018 Curtis Cup and Arnold Palmer Cup Teams. Finished in 3rd place at the 2018 U.S. Women's Amateur Championship. Named the 2018 Golfweek Player of the Year and won the Golfstat Cup as the nation's leading scorer with a school record 69.76 average.